We were met by a bus in the centre of the capital city, Yerevan. Eventually, after a couple of hours wait, because that's just the way things roll. We all crammed in and set off across the country, occasionally stopping to pick up more people, and we finally stopped abruptly at the end of a track simply because the somewhat dilapidated bus couldn't go any further. It turned out to be one of the most beautiful places I have ever camped. We were truly in the middle of nowhere, and while that means no facilities, it also means stunning landscape, soaring mountains and complete, open freedom. I say no facilities: there might not have been a toilet or running water, but somehow the campers had managed to rig up a sound system for playing disco music all day, and a mobile phone charging station that was nailed to a tree and covered with a plastic bag in case of rain. If you did need to spend a penny, as my grandma would say, you could nip under the tarpaulin they'd erected and pee in a whole in the ground. Admittedly it would have been nicer if wasps didn't hang out under the tarp with you, but at least we had charged phones. We spent our mornings in all sorts of activities; one morning we trudged up and down the mountainside collecting wood from an enormous fallen tree. We used about a quarter of what we collected in the end, but the exercise will have done us good. We learned how to make a solar cooker from a cardboard box. A man travelled out to camp specially to teach us that, but the girl who was translating for us gave up after a while in disgust, explaining "he's just going on about how great he is, it's really boring, you don't want to know". Nobody managed to make a successful solar cooker. 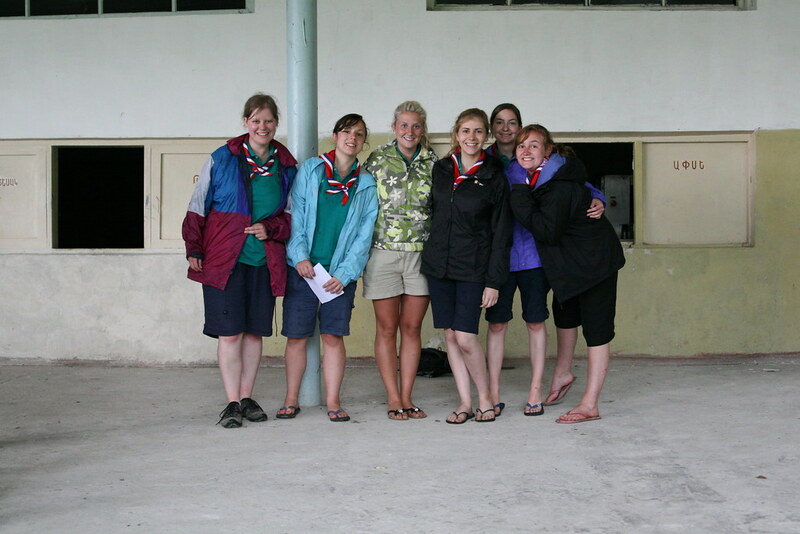 Our afternoons were spent losing in impromptu volleyball tournaments, and our evenings were spent dancing until we had no more breath, when we would grab a hot drink and huddle round the camp fire as the temperature dropped, singing, laughing at one another's attempts to vault the language barrier, and enjoying our time together. The girls we met were so incredibly welcoming and affectionate. They would seek out our company and make sure we were included; they taught us games and we shared some we knew, and they showed us how to write short phrases in the flowing, Armenian script. It didn't matter that we didn't speak the same language; we got on like a house on fire. 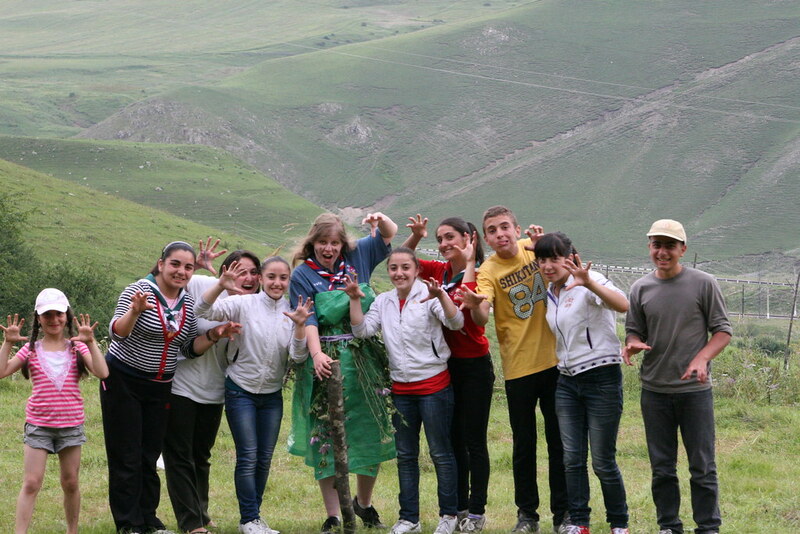 I came away from camp feeling that there was a lot we could learn about camping from the Armenian Guides: how to manage with limited resources, how a ball and a net can instantly bond a group of people into a team, and how if you try and win a fancy dress competition for your team by wearing a ground sheet and some twigs and calling yourself jungle lady, you will never live it down. They called me Jungle Lady for the rest of camp. I did win though, and I think the team appreciated the effort. 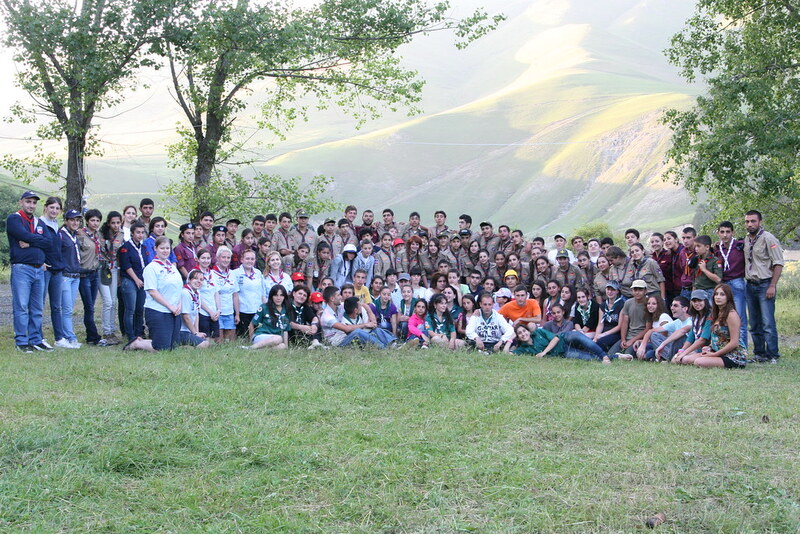 One afternoon we had a visit from the larger, and considerably better funded scouts, and we visited their camp for an evening. It's difficult for the Guides to compete, and sadly they find it difficult to get members when compared the scouts who have government funding, fancy uniforms and swish, highly equipped camp-sites. 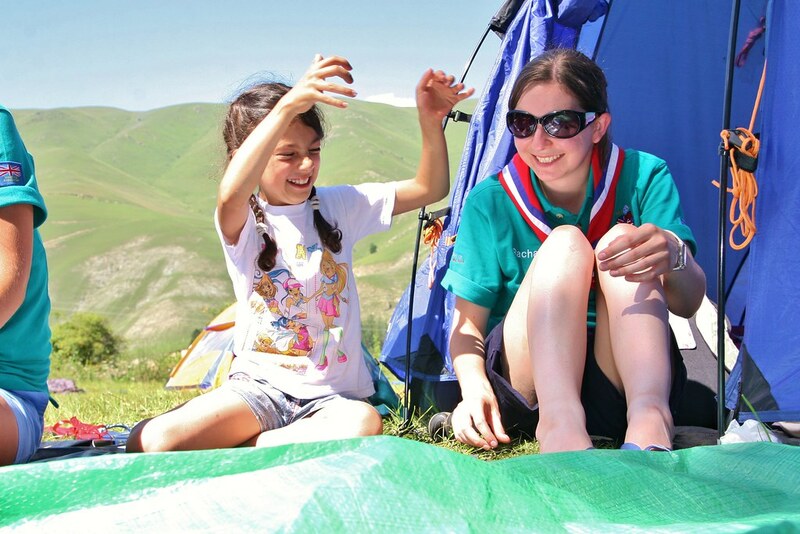 But NUGGGS (Nattional Union of Girl Guides and Girl Scouts in Armenia) support themselves independently of the government, hold by their own ideals and ethics, and champion the cause of girls. Watching them instigate a flashmob at the scout camp, with all the girls joining in, leaping up from the audience, singing and dancing with laughter and exuberance, was a really inspiring moment. As they dragged us into the fray, it was plain that they have just as much potential and quite possibly more fun than their counterparts. We experienced uninterrupted, glorious sunshine on camp. Of course on the last night, the heavens opened, the rain was torrential, there was a thunderstorm so loud we couldn't even shout across to each other in adjacent tents, and we had to bring our backpacks into the sleeping compartment with us. It was the only bit of our tent which remained dry. The little porch was somewhat lacking in integrity and our bags were just absorbing the flow of water as it cascaded over our flimsy groundsheet. We fared better than most. In the morning we discovered that most of the Armenian campers' tents had completely flooded as they weren't really built to withstand rain. British tents pretty much expect to get rained on. Anyway, they had run from the field and taken shelter in an abandoned former soviet concrete building that just happened to be lying about. We spent our final morning unpegging tents, and literally pouring the water out of them. 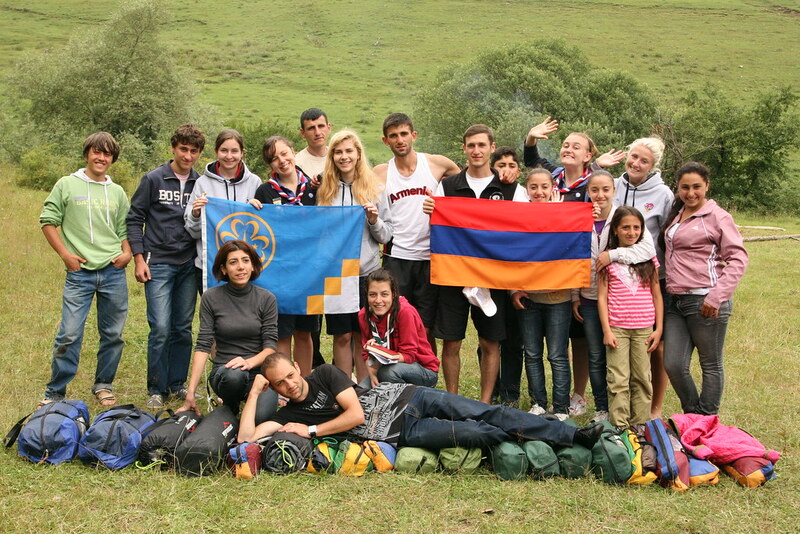 And trying to mime that when they get back to Yerevan, they need to lay the tents out to dry. I will never forget this incredible week, or the friends I made; the warmth with which we were welcomed and the beauty of the mountains. P.S. 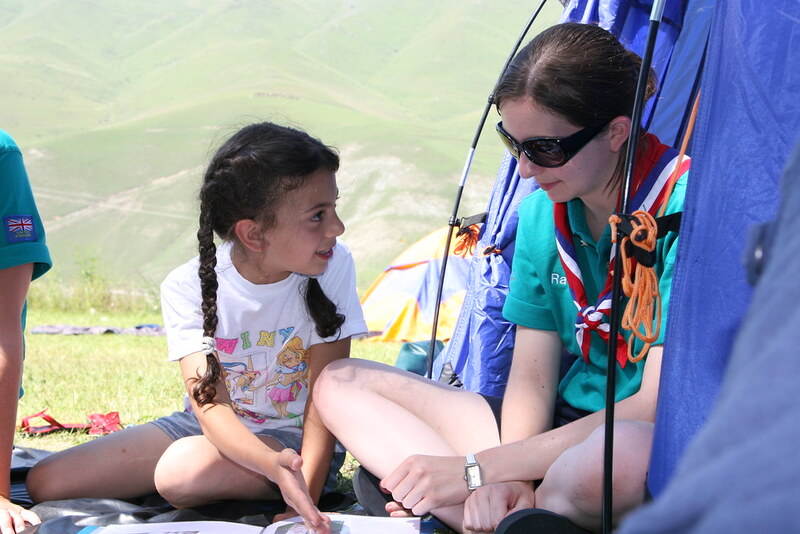 If you want to find out more about GOLD, you can find more information at the Girlguiding website here. What can I say? Another brilliant post. You have given so much back Kirsty it's fabulous!